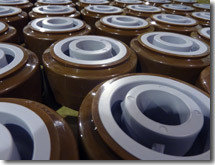 National Caster Corporation manufactures, distributes, or supplies over 200 brands of casters and caster wheels. Regardless of make, model, or application, National is your source for all caster and caster related products. Pick up the phone and give us a call at 888-904-9531 to speak with our expert sales team reps . For email inquiries. please use info@nationalcaster.com Whether from our extensive catalog of wheels and casters, a custom-made one-of-a-kind caster or any of over 2oo caster brands, National has the experience and knowledge to manufacture industry leading products. A partial list of brands available through National Caster.